The New Year is a great time to start new habits – like a new beauty routine! I receive a lot of questions about what to start with when switching to all natural and I have comprised a list of some great starts. One Love Organics Coconut Skin Dew is a new lotion-like moisturizer from one of my favorite brands. It is a brand new product this month and I am in love. The Coconut Skin Dew is the perfect replacement for a conventional moisturizer – and perfect for the Winter cold. I am also hoping that Santa puts the One Love Organics Vitamin C Brightening Serum in my stocking. I have had the chance to try this product and it is high priority on my skin regimen wish list. Both of these products are 25% off this weekend with the code LOVECLUBCYBERSALE. I have just absolutely fallen in love with the 100% Pure Mascara. It is just so good and you can’t beat the $10 price tag for Cyber Week. RMS Beauty Makeup Remover Wipes are my absolutely favorite makeup remover. Not only are they great at removing makeup, they are incredibly moisturizing and leave behind the slightest bit of coconut oil. These would make the perfect stocking stuffer for the clean beauty newbie. Fig and Flower is my favorite natural boutique in Atlanta and they are having a great Cyber sale. Use codes THANKFUL10 (10% off $50-99), THANKFUL15 (15% off $100-149) and THANKFUL20 (20% off $150+). The sale is also good for the HollyBeth Organics Rose Geranium Face Kit. I love this kit. It has everything you need for a complete skincare regimen. It is super moisturizing for the winter months that are soon upon us. This is a clean beauty skincare essential and just such a great deal. I have been so impressed with Beautycounter. It has taken a while for me to try out their products but I have seriously loved everything I’ve tried. The Beautycounter Cleansing Balm is one of the best products out there. It is perfect for a night when I am just too tired to take too many skincare steps. It’s an all-in-one makeup remover, cleanser and moisturizer. I only use it at night and I feel like my skin looks so good the next day. I have always said that lip products are the best place to start when switching to clean. It is a simple way to incorporate clean products into your daily routine. And a pretty imperative part. After all, you literally eat what you put on your lips. Beautycounter Kiss, Kiss Gift Set is just what you need to get the holiday (peppermint) and year-round (rose! love!) incorporated into your lip pampering. 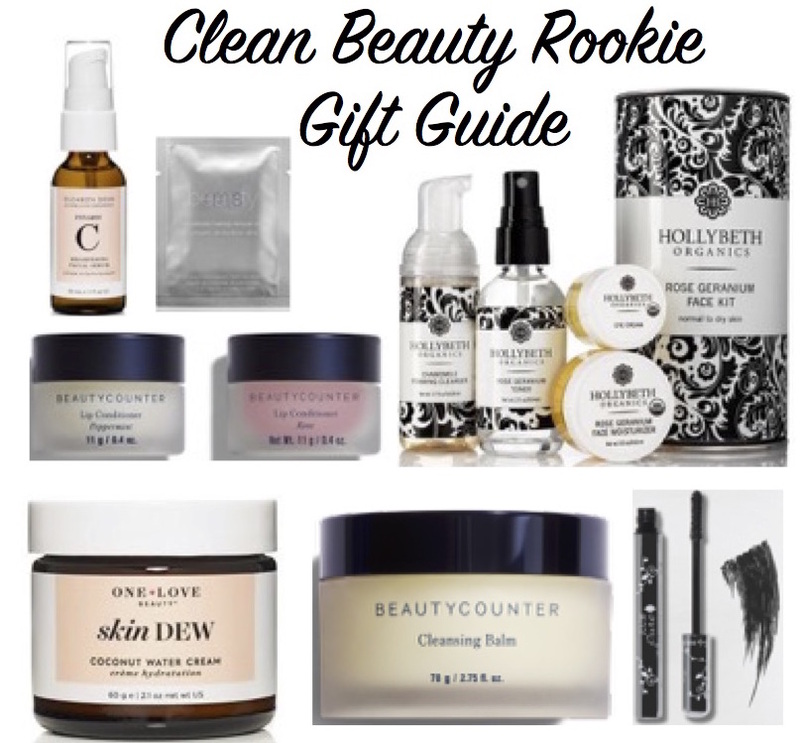 I would love to hear if you gift any of these items to one of your clean beauty rookie friends! Or if you have any other starter ideas, message me or comment on my Instagram!